We wrote an article about 3CX how to connect with analog PBX in last time. This article is also about 3CX, but it’s about 3CX how to binding outline number one to one by the gateway.Because some companies want one line binding one extension. VOPTech offers a solution to meet this kind of requirement by its multi-ports VoIP Gateway. Extensions of the Analog PBX and the 3CX system can call each other directly. 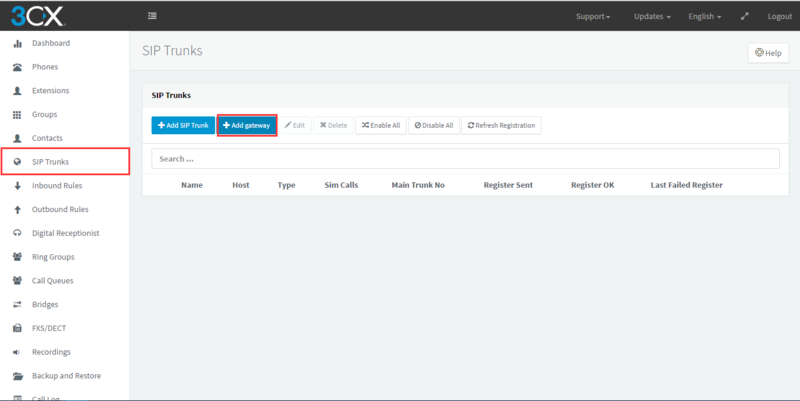 Log in your 3CX and choose SIP trunk tab, press add Gateway button. 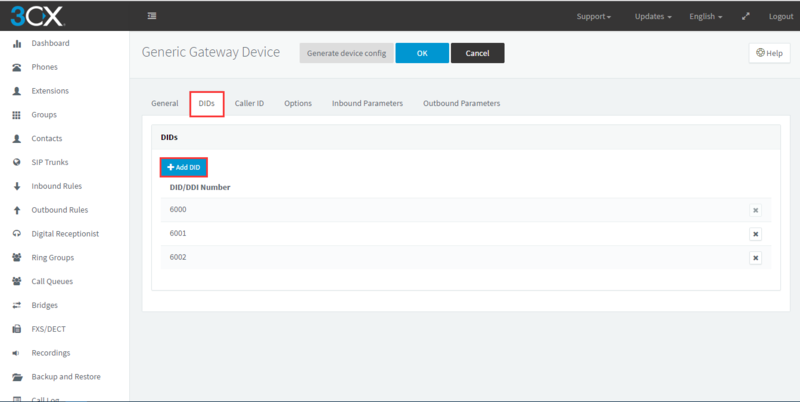 Choose Generic in Select Brand, keep model/device default.A number of Physical PSTN Ports in device option depends on your gateway’s FXO number.For example, I put 2 in it because the gateway which I use have two FXO ports.Fill in the number what you like in the Main Trunk NO. 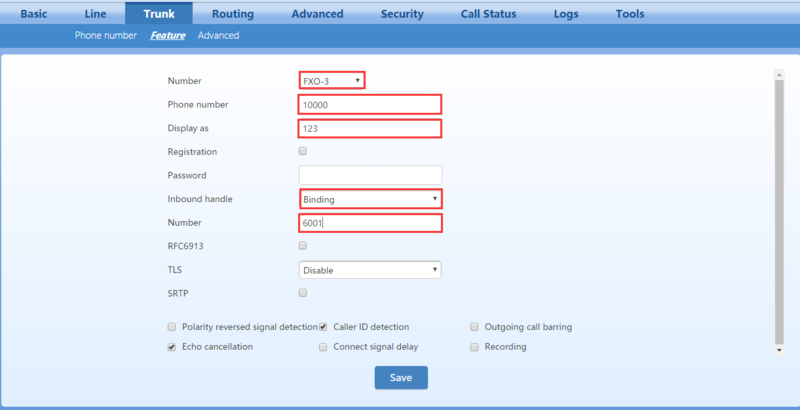 Enter the name for trunk in the first line, and enter gateway’s IP address in the next line.Number of SIM Calls tab means the maximum number you can call at the same timeIn the last line you can enter your gateway’s FXO number. Remember the authentication ID and Authentication password, because use them register gateway. Add DID numbers in DIDs page.DID number is used to bind the FXO port, so you can add the number whatever you like. Press Ok to save the configuration.And choose Inbound Rules to add DID rule. Enter the name, and choose the DID number when you add just now. Choose the extension what you want to bind in the Routing of calls to the main number. Now we log in the gateway web to register gateway.Enter 3cx’s IP address in registrar server.Choose per gateway mode.And fill in the username and registrar password. And in the Trunk-Feature, we choose FXO port and enter the username into the phone number.You can fill you extension number in the display line. Choose binding in the inbound handle, and enter DID number in the next line. 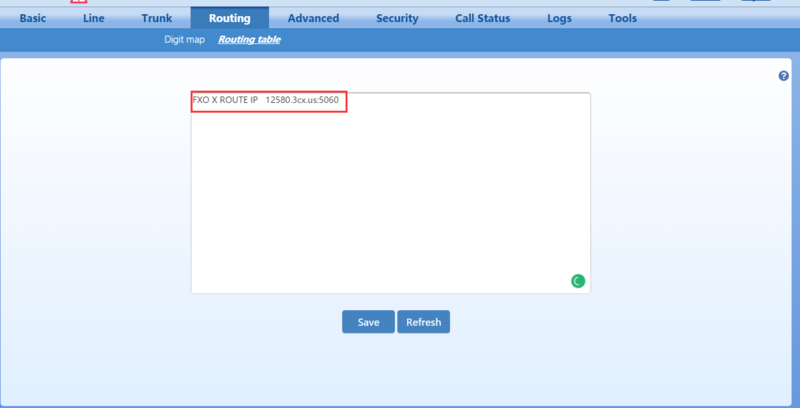 Let’s config routing table now.The Routing rule in screenshot means calls from FXO gateway all route to 3CX. Finally, we can see register success in call status.It means binding successful.The extension will ring when you call the outline number.